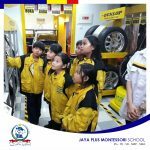 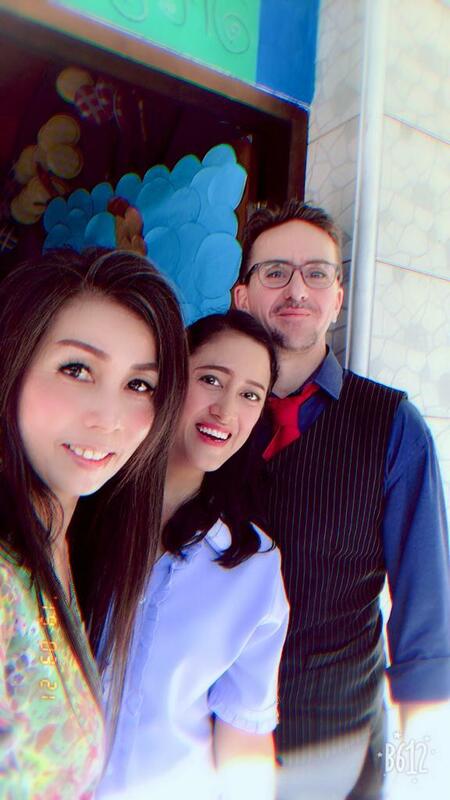 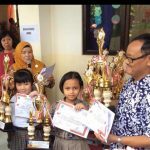 Jpmontessori.sch.id – As a national standard school and using English as a daily language, Jaya Plus Montessori School always trains its students to use English correctly even to say trivial things. 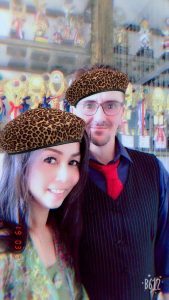 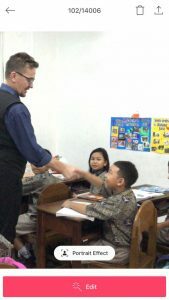 One of the things that is done is to bring the native speaker to practice the conversation until it is fluent in English. 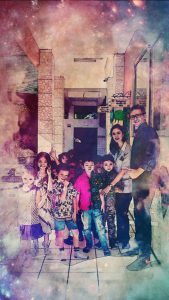 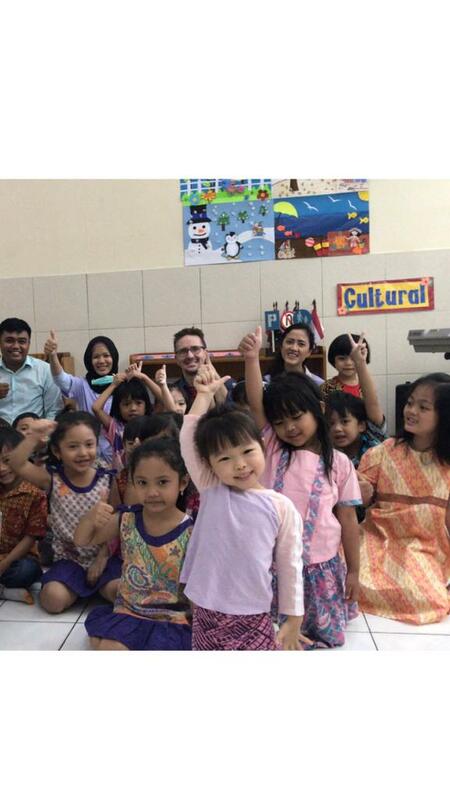 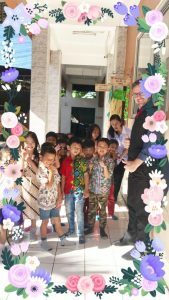 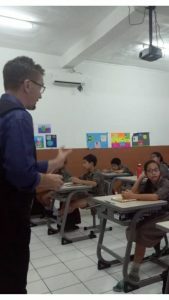 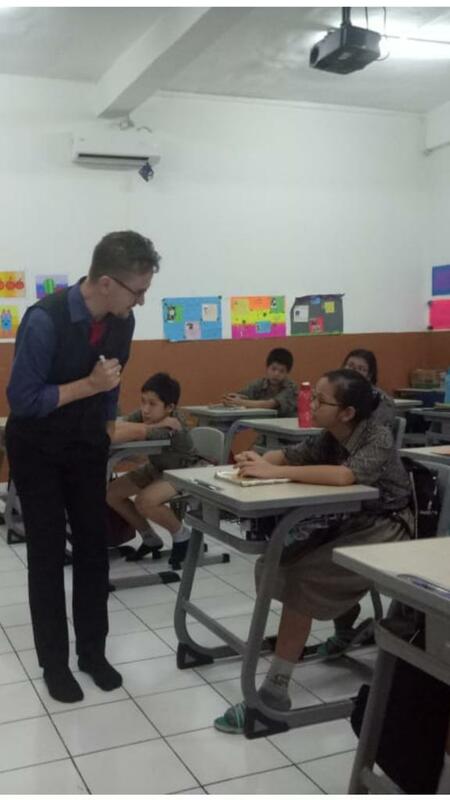 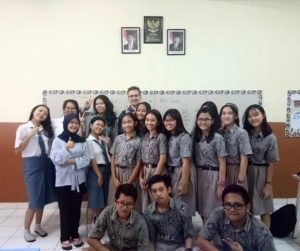 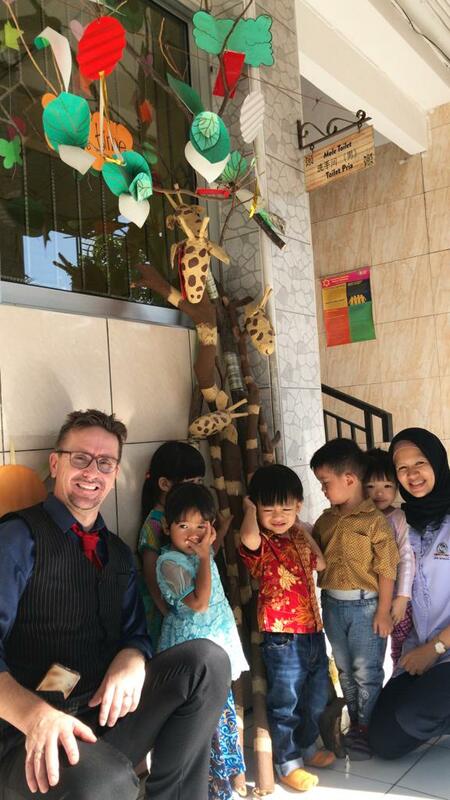 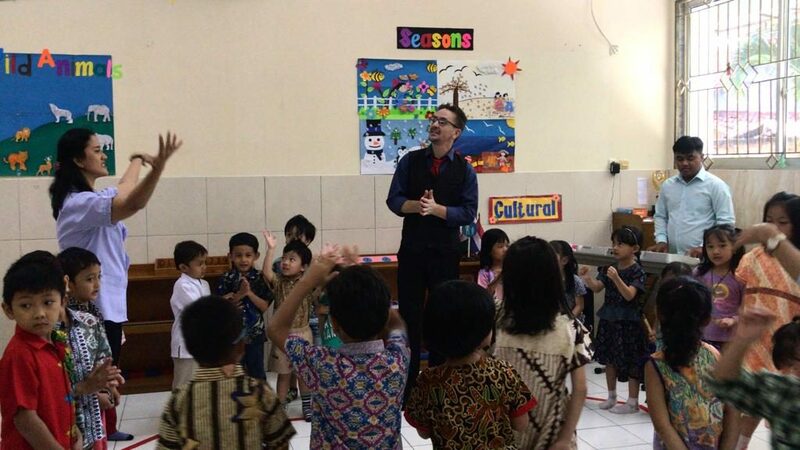 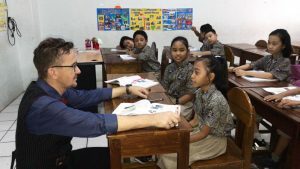 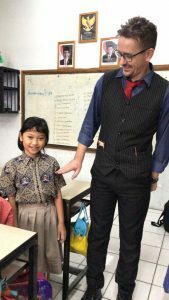 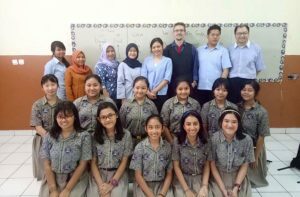 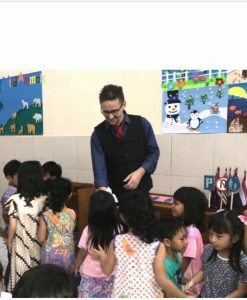 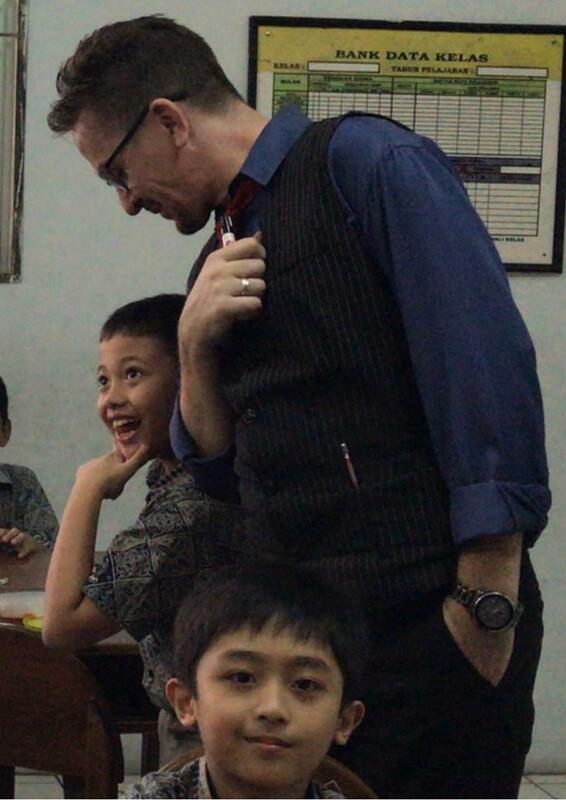 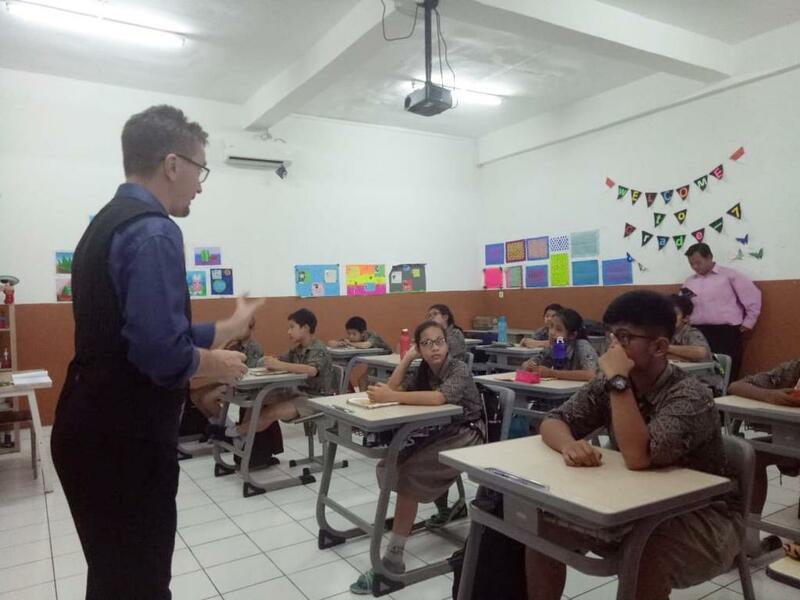 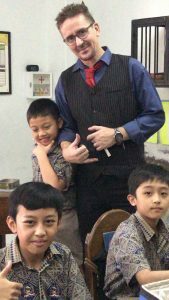 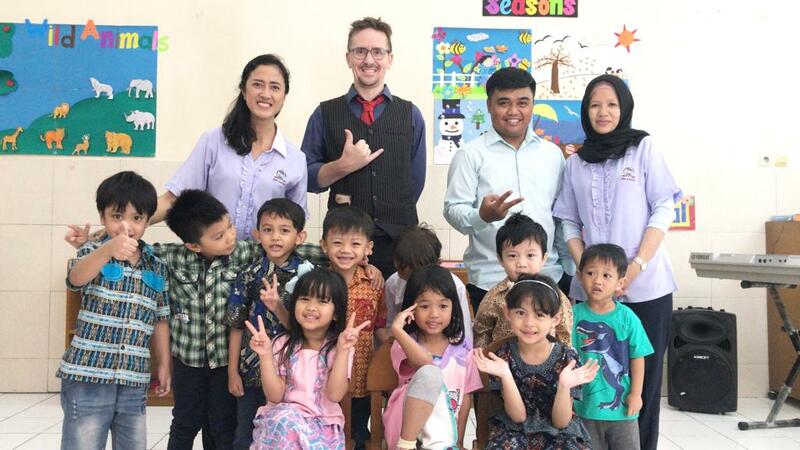 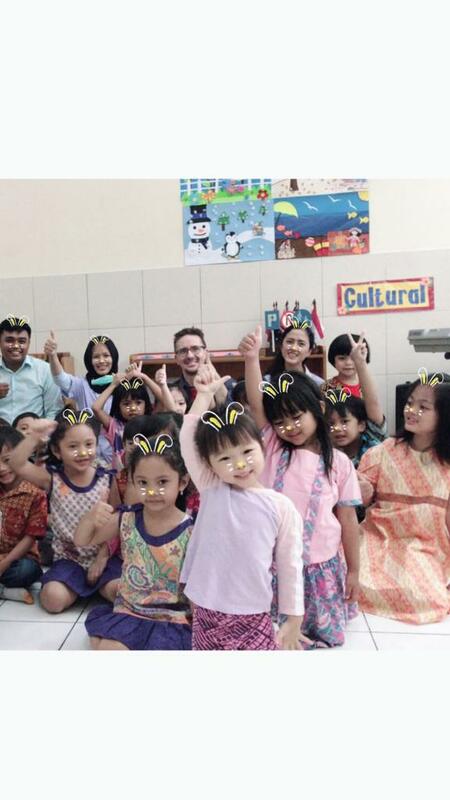 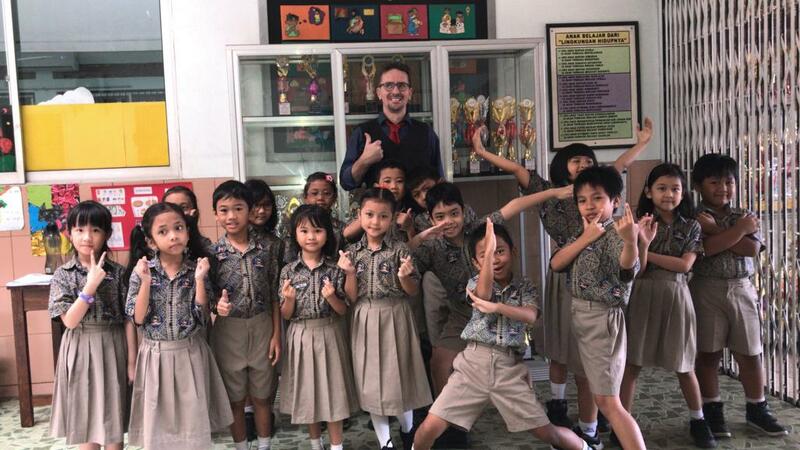 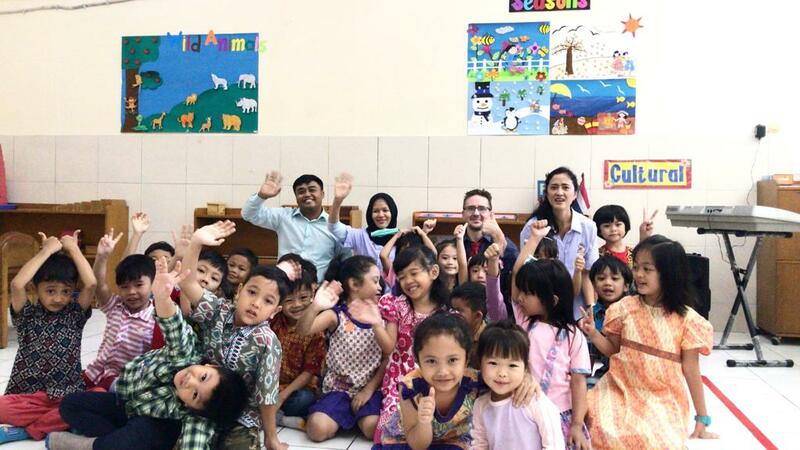 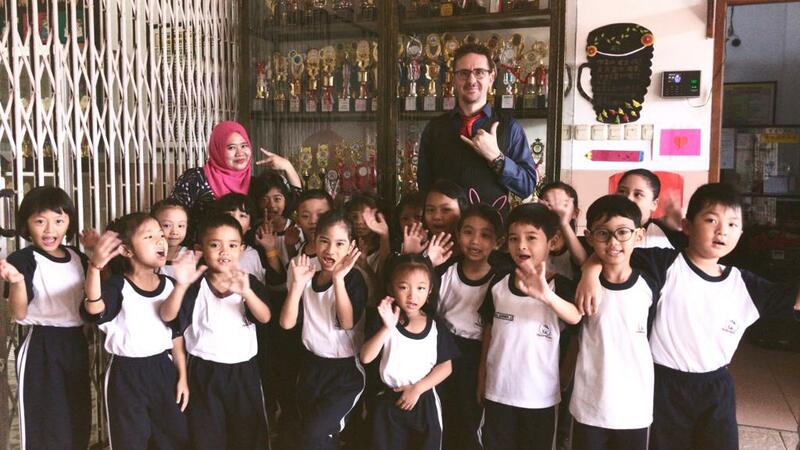 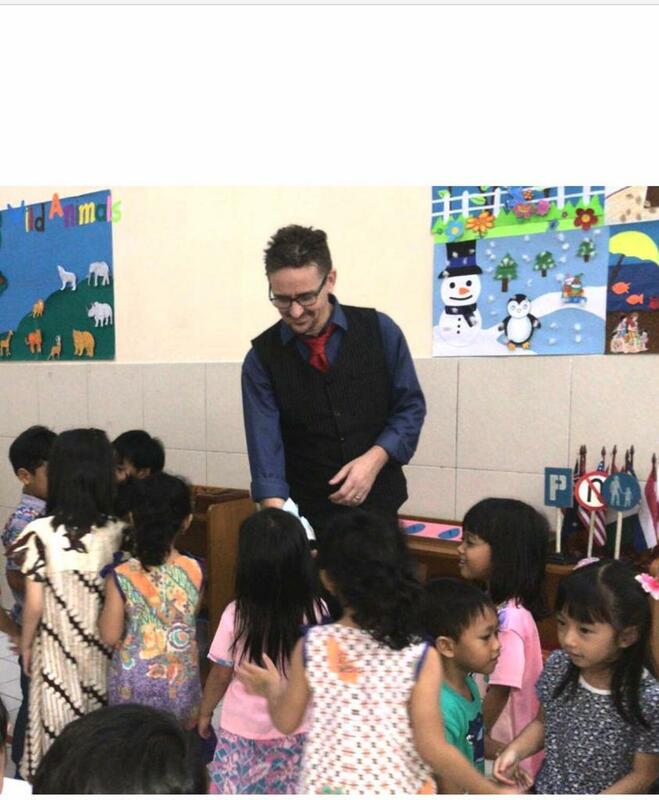 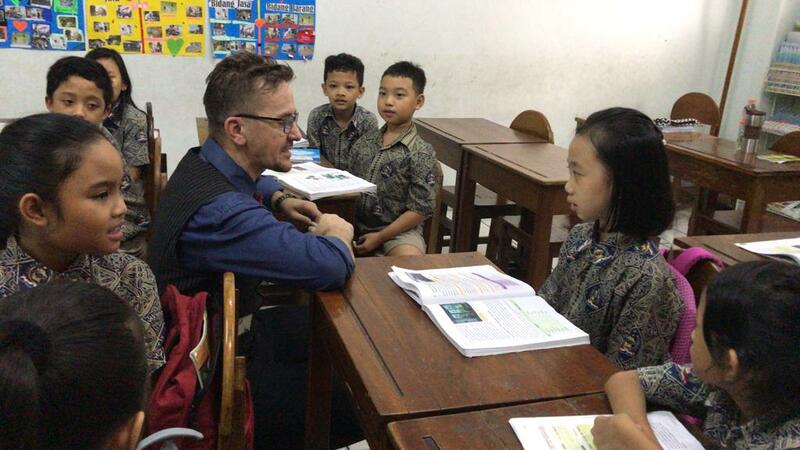 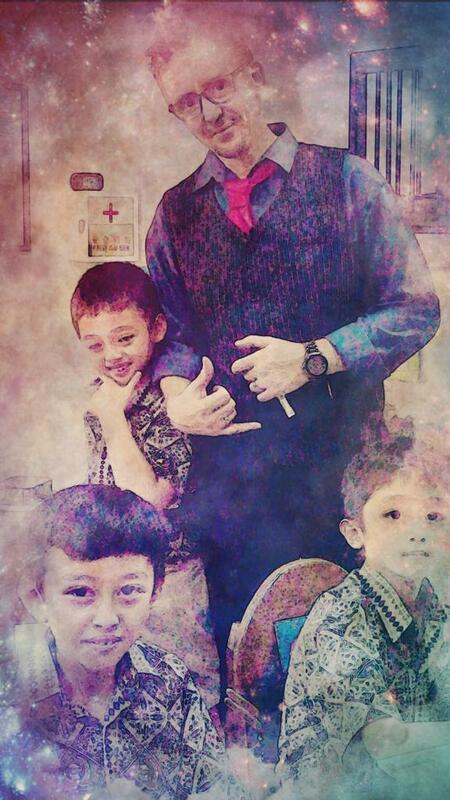 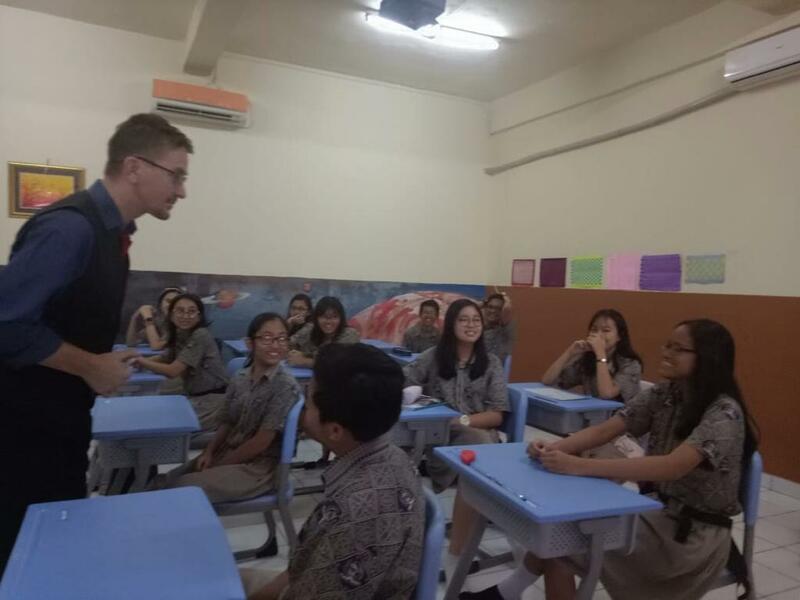 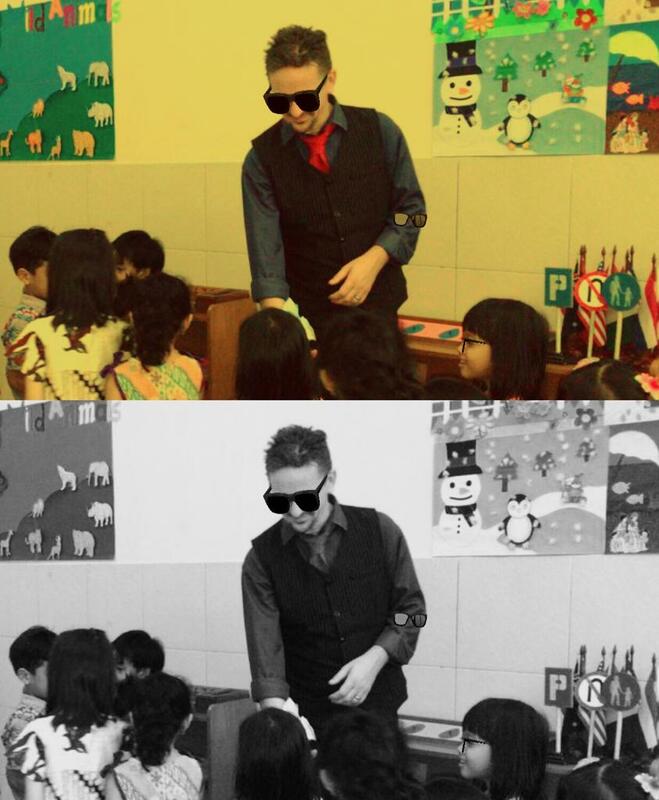 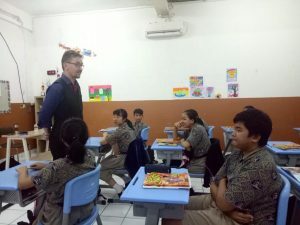 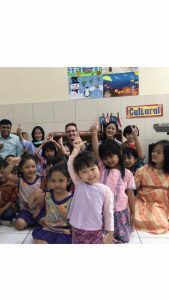 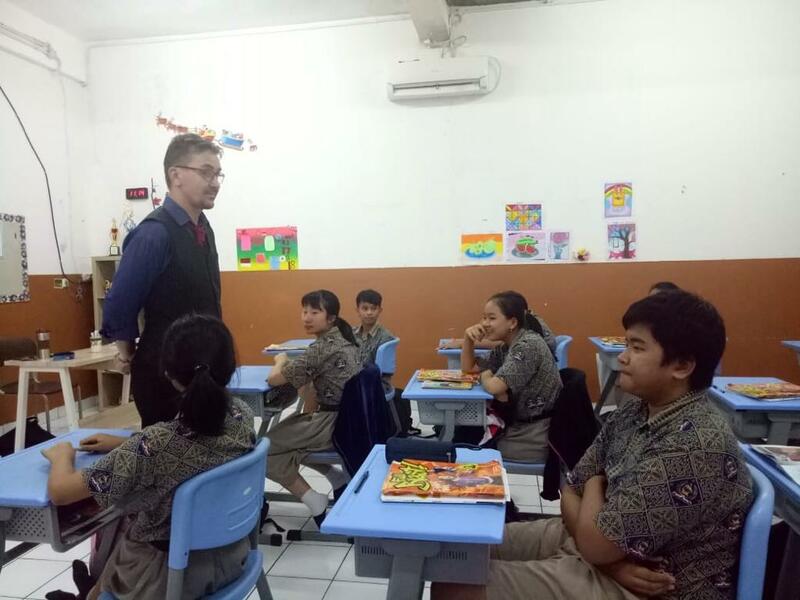 On this occasion, the native speaker who came to visit JPM School was Mr. Lee Smith. 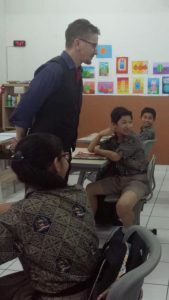 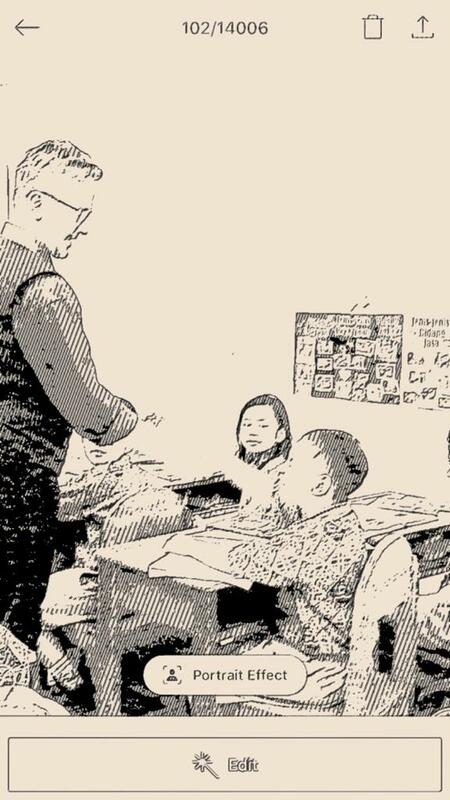 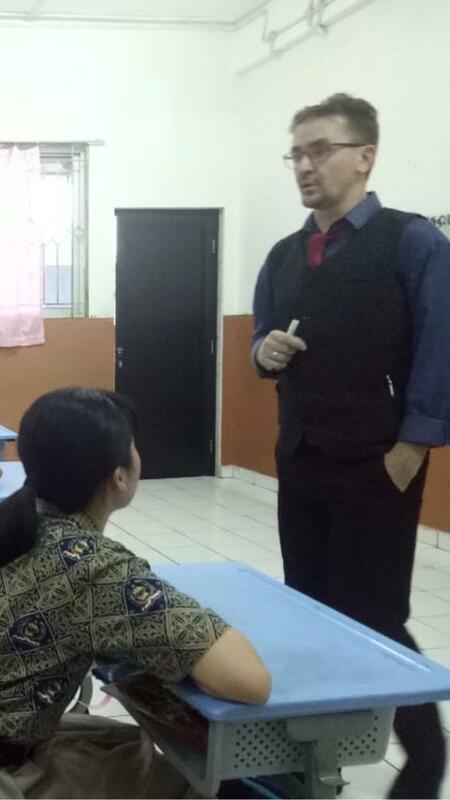 He looked very patient with the students who spoke enthusiastically with their English. “It is true that enthusiasm like this is what I want to see. 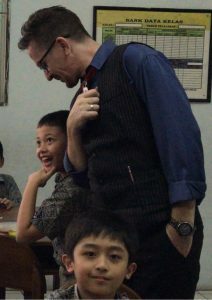 They are able to understand the essence of our communication, even though there are still errors in grammar. 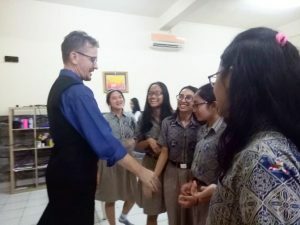 But that’s okay,” Smith said. 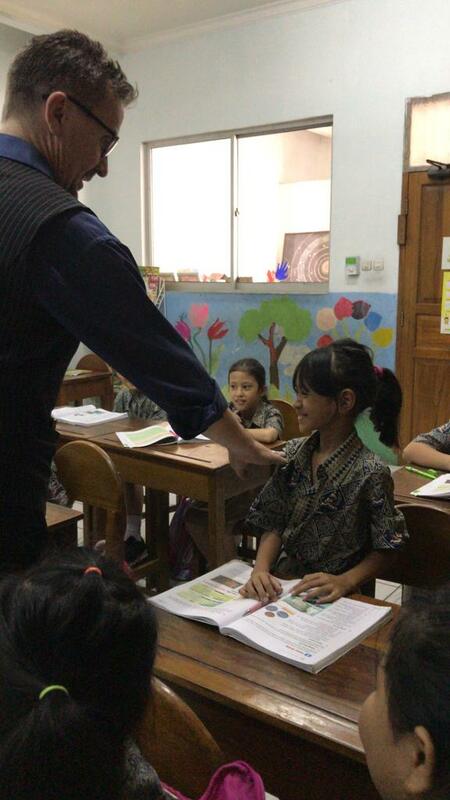 Mr. Lee Smith visited all grades at Jaya Plus Montessori School from kindergarten to high school. 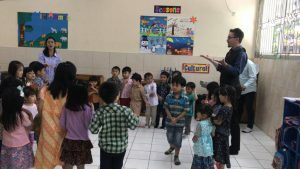 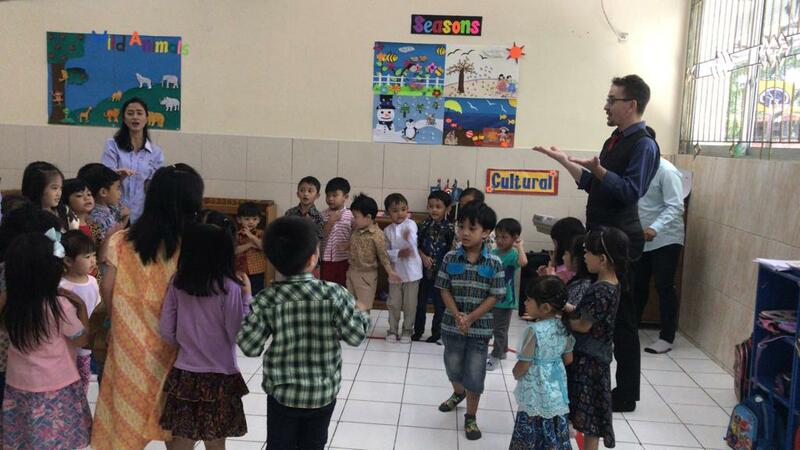 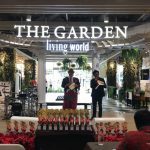 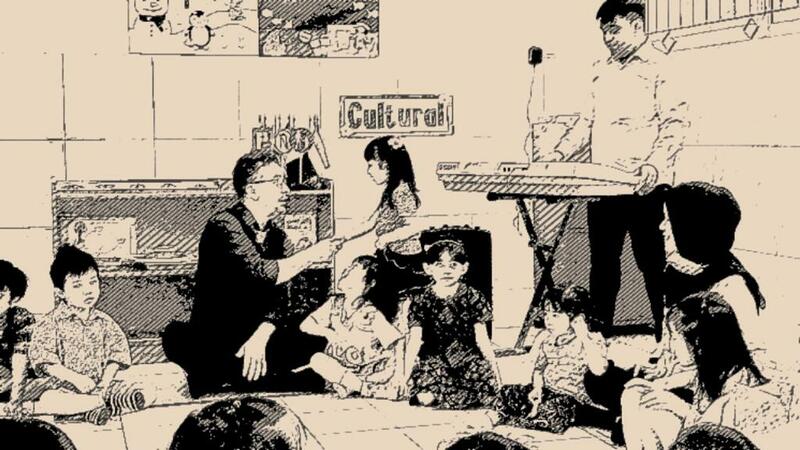 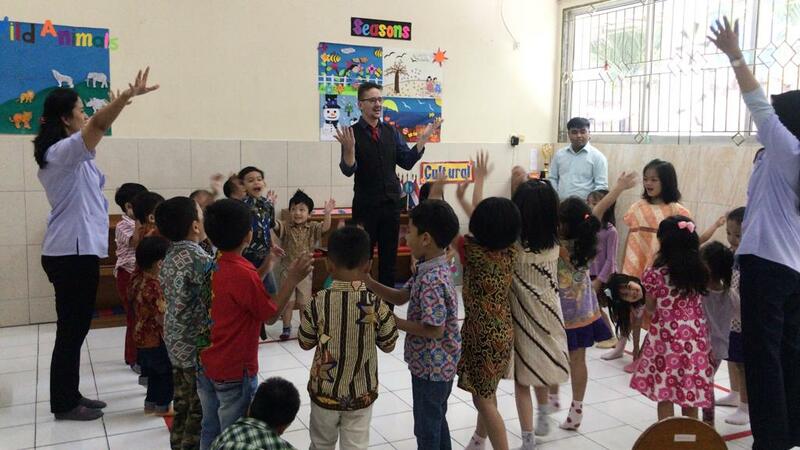 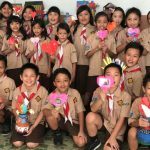 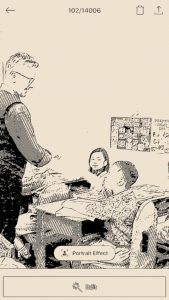 Wednesday Elementary Activities: Its Mandarin Time ! !